After one and a half years of learning and showing our Shih Tzu's, we were pleased to announce that our male, Skyler, became CH Sarjan's Needless To Say on October 16, 2010. We put the first 11 points on him ourselves; and with great appreciation and thanks to professional handler, Greg Larson on the lead, he finished with a 4 point major in Mason City, Iowa. We want to thank Jan & Sarah Bebee of Sarjan's for giving us the chance to own and finish one of their beautiful Shih Tzu's. Not only did they give us that chance, but they held our hands through the entire experience. Their knowledge, patience, and kindness, has brought us to where we are today. 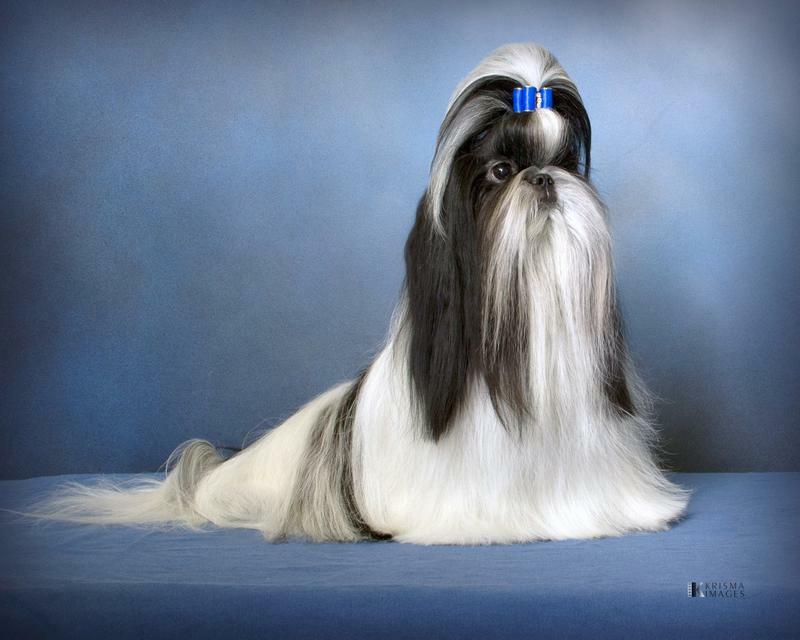 They are what I believe to be, the best representative's for the betterment of the Shih Tzu breed. We have, just recently finished a Dancee/Janet Danner girl (1/18/2015) and a Shar-Ming's/Kathy Bilicich-Garcia, Robin Taylor, & Sharon Bilicich girl (5/2/2015). Kathy Bilicich-Garcia was at the lead, finishing both of these girls. We appreciated her very high level of professionalism and her wonderfully gifted abilities that she displayed, each time she walked in the ring with one of our girls, or for that matter, any dog that she handled. Our dogs came back to us with obvious signs of being loved and well taken care of, every day that they were gone. Our dogs have been evaluated in the show ring by knowledgeable judges for the purpose of helping us decide if the dog closely enough fits the standard to be bred. This enables us to start producing top-quality dogs that are sound and correct representations of the breed in the show ring and as loving companions in pet homes as well. We will be breeding for ourselves first and the pet buying public second. Puppies we do not keep to show, will be offered as companions to loving homes on spay/neuter agreements. We will not knowingly sell our pet puppies to breeding homes. We are members of the Tucson Kennel Club, Shih Tzu Fanciers of Southern California, and are in good standing with the American Kennel Club. We support the Tucson Kennel Club and the Shih Tzu Fanciers of Southern California by volunteering at their events and with our entries. We, also, stand behind the beliefs of the American Shih Tzu Club. information or have any questions that we have not answered.